Founded in 1906 Brookfield is a mid-sized family tennis club. 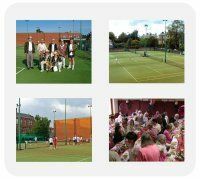 The club has 6 Omni court Pro floodlit courts, a modern pavilion, and a full bar. There are 500 members, of which up to 200 can be under 18. New members are always welcome and applications can be found on the website or in the club.